I'll admit it. I had a hunch Jerry would emerge victorious over Meg at last night's debate. He's such a dynamic person to swap opinions with around the office, I could only imagine how he'd appear in a larger arena. But I was pleasantly surprised by just how compelling and capable our candidate appeared next to his opponent. Throughout the conversation, Jerry remained authentic, direct, colorful, and engaging, while Meg came off stiff, canned, and even nervous at times. Guest post from Meredith, a coworker on the campaign who just received her J.D. in environmental law. Watching live TV has become almost unbearable…after this summer I think most Californians consider DVR their best friend. Last night, I was forced to watch an ad every 5 minutes that is almost as misleading and infuriating as Meg Whitmans'. Today, we're thrilled to announce a brand-new feature that will push instant, breaking campaign news and updates to you directly in a neat little 140-character message. No, we're not creating another Twitter feed. We're launching our Text Brown program, so even if you don't have the time to pore through all the content in the digital world, you can still stay informed - by simply looking at your phone. Signing up is almost too easy to be true. 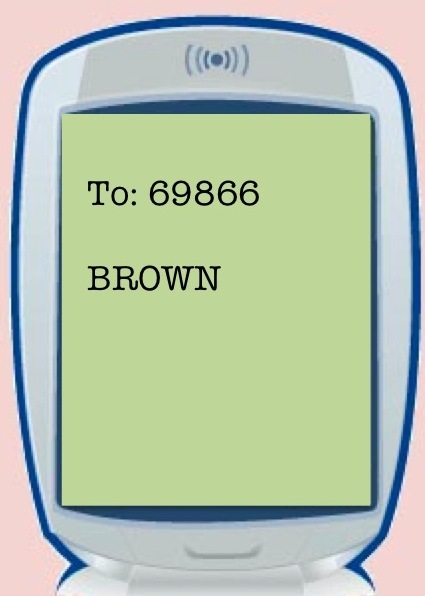 Simply text 'Brown' to 69866 using your mobile phone, and the inside scoop between now and the election is yours. What are you waiting for? Stop reading and start texting! This week, the campaign rolled out a fun feature for supporters to use on Facebook. If you want to help our effort using your social network, these tools are perfect for you. You can post a specific tab on your own profile that allows anyone who clicks on your page to donate to the cause directly. Click the 'Give Now' tab on Jerry's Facebook page and follow the instructions to get started. Yesterday, the campaign released a powerful ad criticizing eMeg's pledge to eliminate the capital gains tax if elected. This would be a terrible idea for a number of reasons. Let's start with the basics. Capital gains are profits resulting in the sale of non-inventory assets, which include stocks, bonds, and property. A capital gains tax simply taxes those profits. Last week, Meg became the biggest self-funded candidate in our nation's history when the price tag for her personal campaign contributions reached a staggering $119 million. That's right, instead of hiring 1,185 police officers, Californians can look forward to more glossy mailers. Instead of providing 25 million school lunches to children in need, we get even more false Whitman promises saturating the airwaves. Instead of preventing 1,280 teacher layoffs, it's going to be all eMeg, all the time, touting her vague plans and campaign cliches everywhere we look between now and November 2nd. Oenophiles from San Diego to Humboldt toasted the official start of California Wine Month yesterday. 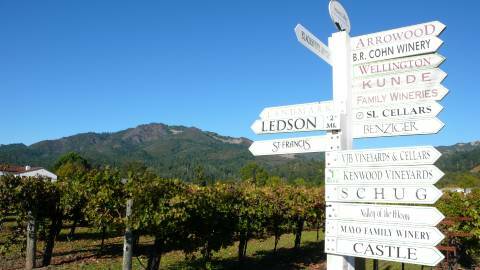 September is marked with a slew of events throughout the state celebrating our flourishing industry, including free winery tours and festivals like Sonoma Wine Country Weekend. Have you seen the new California Democratic Party website lately? The statewide party has released a beautiful online resource for voters and volunteers to use to their advantage. The refreshed site allows users to search for their closest field office, sign up to help efforts in a variety of capacities, obtain information about ballot propositions, and register to vote. Meg may have her behemoth infrastructure and endless funding, but our combined effort represents the spirit of cooperation as we all rally together behind a cause we believe in. As staffer Felix put it, "We've abandoned traditional factionry in order to rely on our central resources." I'm not sure factionry is actually a word, but I'd choose unity over a series of powerhouses any day. If you're looking to volunteer, going through the site is a great way to connect with your local party chapter. Check it out today and find out how you can join our amazing, multifaceted effort. The Attorney General's office made headlines last week when Jerry announced a state suit against tiny Bell after a lengthy investigation that revealed obscenely high salaries and benefits for city officials. The suit calls for the officials, including former City Manager Robert Rizzo, return the hundreds of thousands of dollars they siphoned from the city (population 40,000) in the form of exorbitant pay rates. Rizzo, who collected nearly $800,000 a year, made nearly double the salary of President Obama and quadruple what Governor Schwarzenegger would make if he took a salary. Members of the Bell city council, a job that pays around $4,800 in cities of a similar size, took home nearly six figures a year.